I’m home, I’m home, I’m home, I’m home. What I am not is coherent. Very tired. However it’s been forever since I put up a new post so here are random thoughts. Not Random Sunday random thoughts which are often semi-developed, these are just random thoughts. I’d skip this one if I were you. I’m in Chicago at this fabulous new eco-chic hotel, which makes it all the more unsettling that I didn’t notice the puppies had chewed the edge off my laptop case until I was in the hotel. Since that was the only classy (black leather) piece I had with me (the others were a big TJMaxx shopping bag and an extremely battered Vera Bradley roller case), I’m sure the very glossy young people at the front desk thought I was a bag lady. A well-chewed bag lady. SEP is coming by for an early dinner, and if she’s wearing the bubble shirt, I’m going to make her sit on this very nice modern couch so I can take a picture. I’d put her in the bathtub which is to die for, but I know Susan: that’s where she’ll draw the line. The drive up here wasn’t terrible although the traffic around Chicago was sort of dense which was a surprise because it was late Sunday afternoon. I’m trying to imagine rush hour. Which I will experience later this week. Bleah. Today I am 61. (And thank you, everybody, for the early birthday wishes!) Sixty-one makes me the Esme of our triple Goddess (Krissie the Younger is Nanny Ogg and Lani the Infant is Magrat, for those of you who are Pratchett fans, too). Lani’s already lavished me with presents: a fabulous orange retro toaster, a gift certificate to Knitpicks, and putting new tires on the car. Plus she’s bringing home Chinese and cake. She is the best of all possible roommates. Krissie will chime in shortly and so will Mollie, and I’ll get to hear babble and coo from Callie and Emmy. And then we’ll watch Avanti for Popcorn Dialogues, and that’s one of my all time faves. It’s gonna be a good day. The trade paperback of Welcome To Temptation is out today. 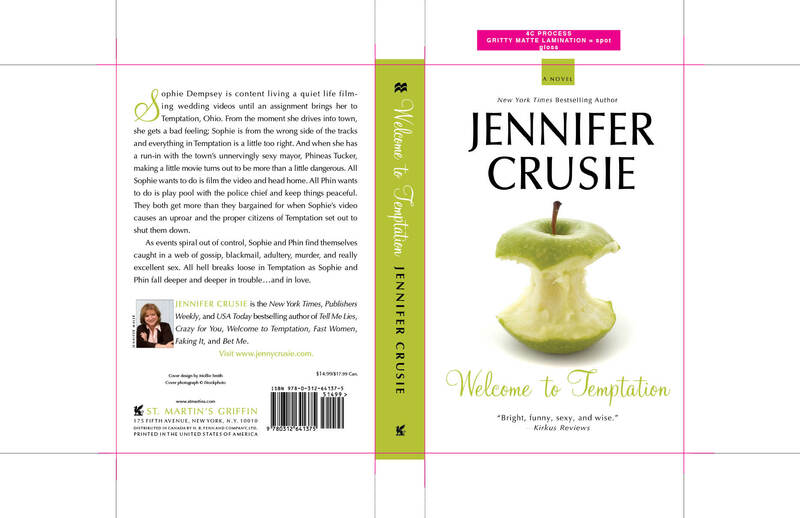 I was going to have a lot of stuff here–trivia, Sophie’s lemonade recipe, movie quotes–but as we all know, it’s book tour month and I’m hiding under the bed. 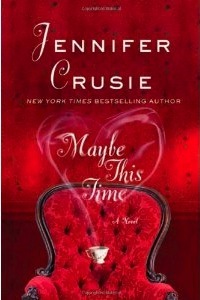 Cherry Forums is doing a reader’s book club for Maybe This Time, beginning Sept. 15 and running through the 22nd. I’ll be discussing things over there (it’s easier there with a different thread for each question) but here’s the Reader’s Guide so you know what we’ll be covering. You can ask your own questions, too. We’re very flexible over there. With a big thank you to Eric Clapton, Cyndi Lauper, Jackson Browne, and everybody else who provided music for the MTT soundtrack because the question headings are from them. It’s been a little hectic here, plus I’m not good with the PR thing so book tour month is always tense because I keep saying stupid things and losing my curling iron and forgetting my lipstick. (To everybody who came to the Cincy signing, I apologize for the lipless look I was sporting.) 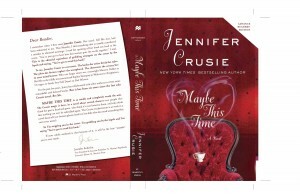 Seriously, I’m totally freaked out by book tours. 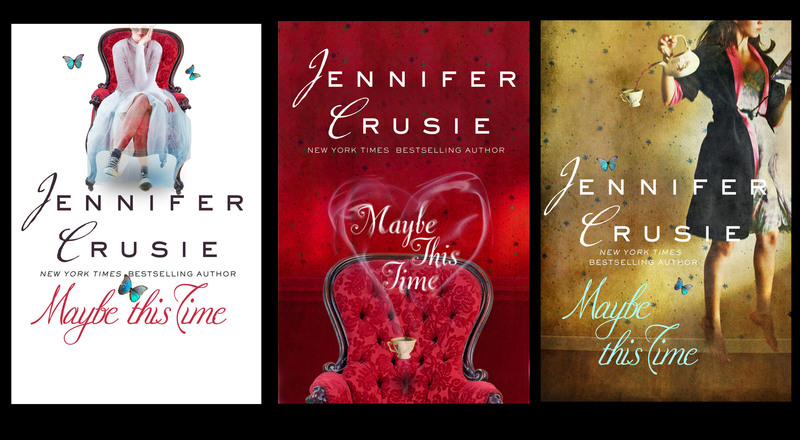 Jen Weiner has a fabulous blog–you must read her take on the Literary Establishment and the slavish love they’re showing Oprah-dissing Jonathan Franzen–and she’s been kind enough to review Maybe This Time, too. You should go look.